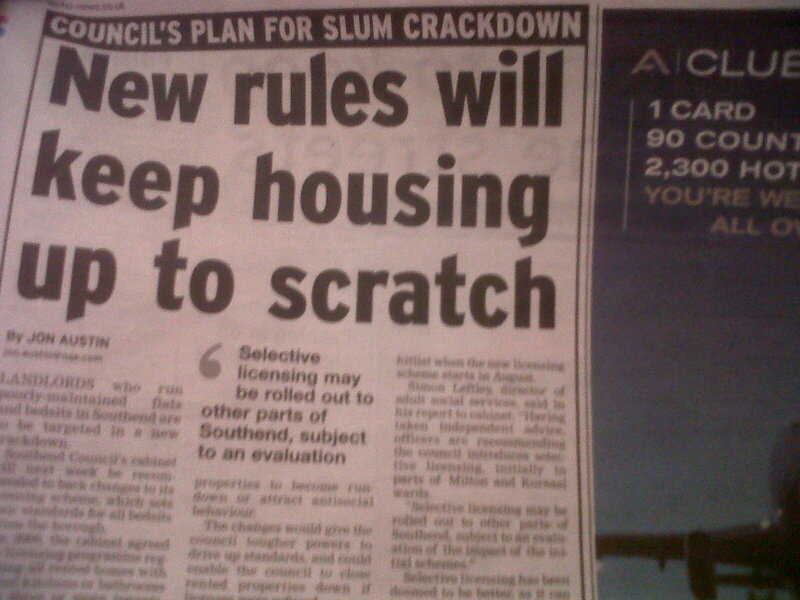 I think it is definitely a step in the right direction for Southend Council with the proposals for a selective licensing scheme to hopefully start in Kursaal and Milton wards. What does Selective licensing mean? Selective licensing means that the council will ultimately have more power to implement standards for decent living. If landlords do not comply with a set of standards the council could close down the property. This is particularly welcomed news in Kursaal ward where there is at present a high proportion of shared accommodation, flats and bedsits. As well as this landlords would have to ensure that their property is well maintained and cared for otherwise they could be fined. The other side to this is, that a landlord must also take responsibility for the behaviour of the tenants and therefore cannot just dump antisocial individuals and forget about them which then leads to problems for the neighbours.